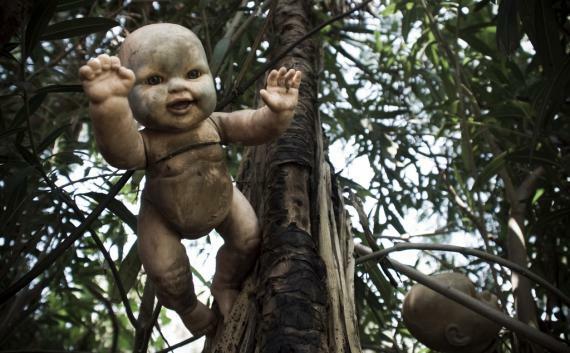 Welcome to Isla De Las Muñecas, Mexico’s most unsettling tourist attraction. 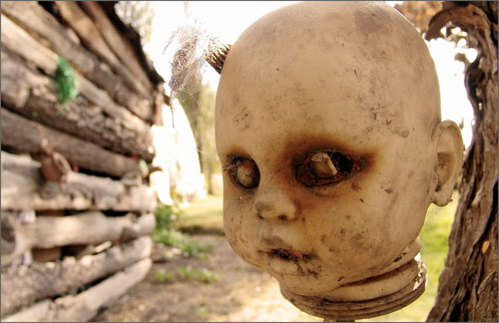 The island acquired its macabre collection through the efforts of one Don Julian Santana. Don Santana, whom, as you may have gathered, was a rather odd character, left his wife and child some fifty years ago to live as a hermit on the island, residing there until his death in 2001. 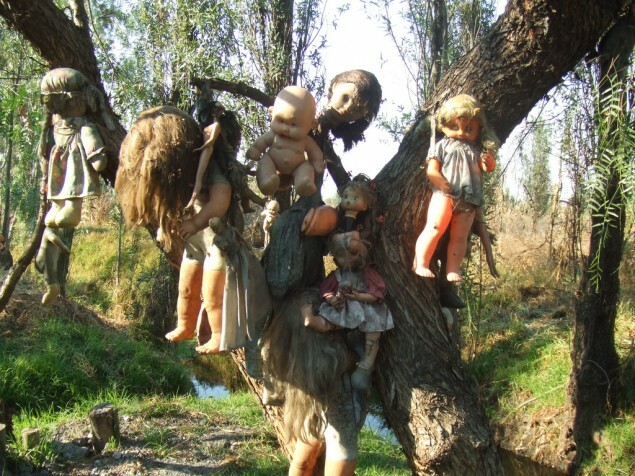 It has been suggested that Santana began collecting the dolls to assuage the restless spirit of a young girl who drowned on the island years before. Another theory is that Santana was mad; El Tarangu would probably lean more towards the latter hypothesis. 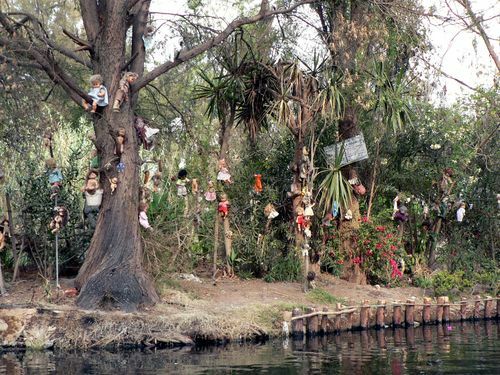 Either way, the dolls of Isla De Las Muñecas remain there to this day, a testament to one man’s dedication, and the debilitating effects of malnutrition on the mental faculties. Hat tip for this post goes to El T’s roommate, who informed us of the island’s existence, and then tried to frighten us by leaving a disfigured doll hanging from the light-fitting inside our front door (shame on you, T).